Editor Indian Journal of Chest Diseases & Allied Sciences, Indian Journal of Tuberculosis; Lung India, Editor of popular Textbook of Tuberculosis. Reviewer and member of editorial board of several international and national Journals. 510 publications (International: 189, National: 174, abstracts, invited reviews/ covering editorial, books, books chapters). 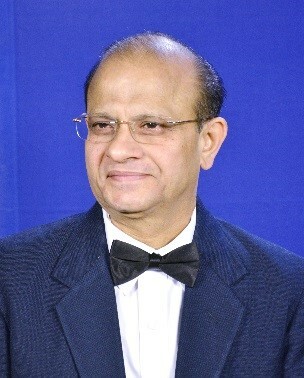 Recipient of several awards including second highest ICMR award (Basanti Devi Amir Chand Oration, Amrut Modi Chest�Prize), Hari Om Ashram Award of Medical Council of India, Dr. Jivraj Mehta award of Association of Physicians of India, Prof Raman Vishwanathan Memorial Chest Oration award of the National College of Chest Physicians, India. Established Centre of Excellence for Extrapulmonary TB (EPTB) and WHO Collaborating Centre for Training and Research in Tuberculosis at Department of Medicine, AIIMS, New Delhi. International Advisory Board Member of Davidson�s Principles and Practice of Medicine (20th -23rd edition). Chairperson of first edition of Indian Initiative on Obstructive Sleep Apnea Guidelines (INOSA) Guidelines. Member of Global Asthma Network and Advisor & Chairperson of several committees in WHO, DBT, DST, ICMR & Ministry of Health & FW, GOI.